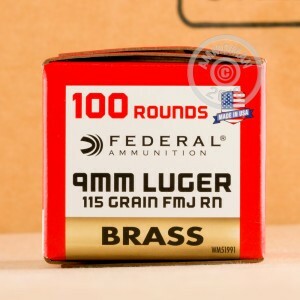 Each copper-jacketed bullet is crimped into a reloadable brass casing which contains clean-burning powder that accepts a spark of ignition from a non-corrosive Boxer primer. This is a proven configuration and one of the most popular target loads in-use with owners of handguns and pistol-caliber carbines. 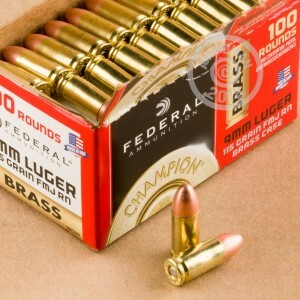 This 500-round case is ideal for class prep, meeting match round counts, and stocking for long-term use since it is easily broken down into 50-round boxes. 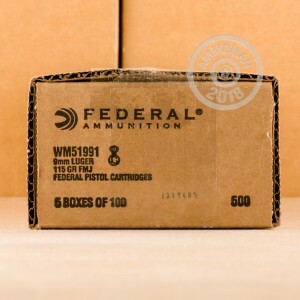 Federal Premium has over nine decades of experience developing and manufacturing ammo and is one of the most trusted brands in the United States.